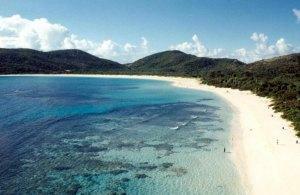 If you want to get exotic, check out Isla Culebra. This is a small island which is really closer to St. Thomas than to Puerto Rico, but Puerto Rico calls it its own. Now there’s a ferry which is really inexpensive – $2.25 one-way, and sails three times a day from Fajardo. So why check out this out of the way island? Flamenco Beach! 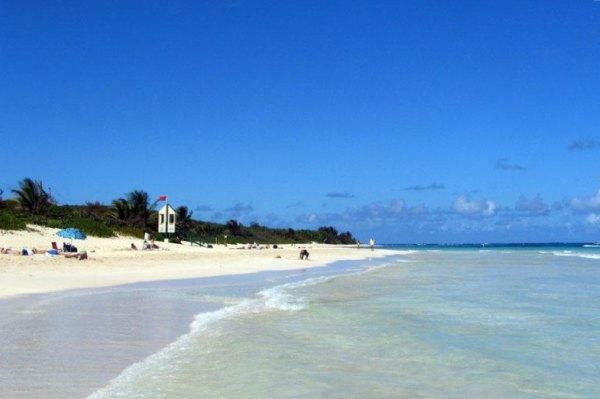 Flamenco Beach is a Blue Flag Beach. Divers rent the B and B’s and small apartments here on Culebra, but otherwise this island would probably sink into obscurity if it weren’t for Flamenco Beach. Take my advice and select one of the B and B’s. You’ll have an experience you will cherish for a lifetime. Who knew this island was here and a part of a U.S. Territory? But the balneario at Flamenco on the west shore is first class. Fine, white-sand greets you and goes gently around to a pleasant picnic area. Here you’ll find some vendors and the beginning of the campground area. We found the bottom here relatively rock free. And when you try snorkeling out towards the rock outcroppings, there are some nice brain coral with plenty of parrot fish, blue tang, and wrasse to see. 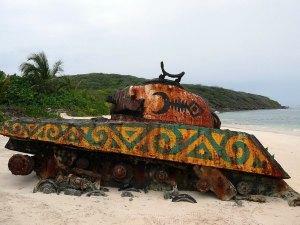 If you’re curious, there’s an old World War II tank, half-buried and rusting as a reminder that Culebra was once a firing range for the military. Your calmest water will be on the east side. It does get a little rough in the middle of the beach because this is the area that is more exposed to the open sea. You’re not going to find a bad spot on the beach. Trust us. Puerto Rico sits with the Caribbean Sea on the south coast and the mighty Atlantic on the north coast. Culebra basks in the Caribbean and the waters are warm. Yep, it’s a pretty damn kick*ss beach! Could go back there and Vieques anytime!! !